UV objective lenses from Jenoptik meet the strictest requirements and are considered to be a determining factor in the performance of optical process control systems in the semiconductor industry. Jenoptik offers custom-made UV objective lenses and components, as well as individual optics modules for quality assurance. These are used successfully in process control systems for the semiconductor industry and are considered to be a determining factor for performance in this area. Our ultra-precise production and system inspection procedures guarantee maximum image quality and thus a high waver throughput for users, for example. 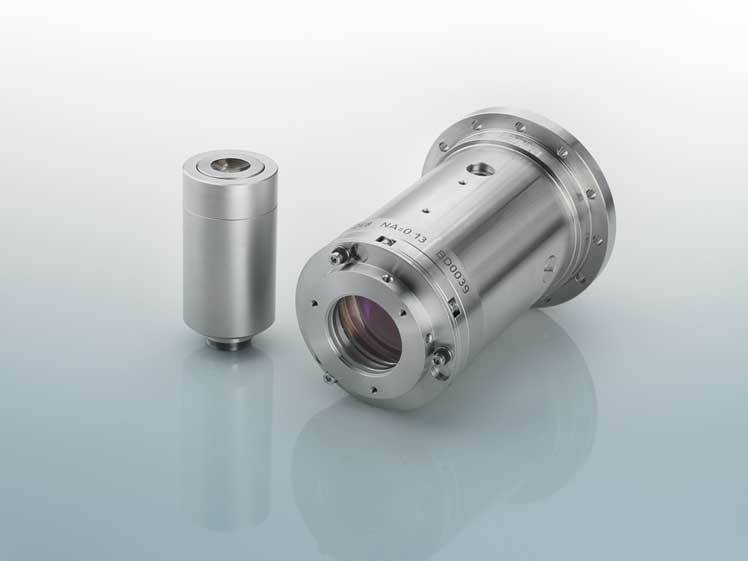 The UV objective lenses and optics modules can be used for the latest developments in laser sources. They cover the entire DUV wavelength range, with the focus on 193 nm and 266 nm. At these wavelengths (DUV), polarization and wavefront errors are within the technologically feasible range. Jenoptik offers the entire process chain — from planning the UV objective lenses to series production. We develop objective lenses for inspection according to your specific requirements, and we also implement feasibility studies. We work with you to define the service description so that it meets your requirements exactly. During production, our experts use ultra-precise inspection methods to adapt the systems to the target specifications. We then subject the UV objective lenses to thermal and mechanical stress in order to prove their environmental stability with regard to storage, transport and installation. Once you are satisfied with our product, we can of course also produce the UV objective lenses in series production.